Ultrasound and radiology are two methods we use to help look inside our patients. Each imaging method gives us different information. 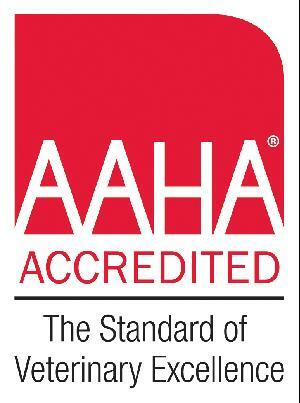 They are commonly used together to give us the most information about what is going on inside our patients. Ultrasound uses sound waves to help image the inside of the body. As the sound waves pass through the body tissues, the sound waves are reflected back to the machine. Tissues reflect sound waves at different rates, so the machine interprets this and produces an image based on the time and amount of sound waves returned. 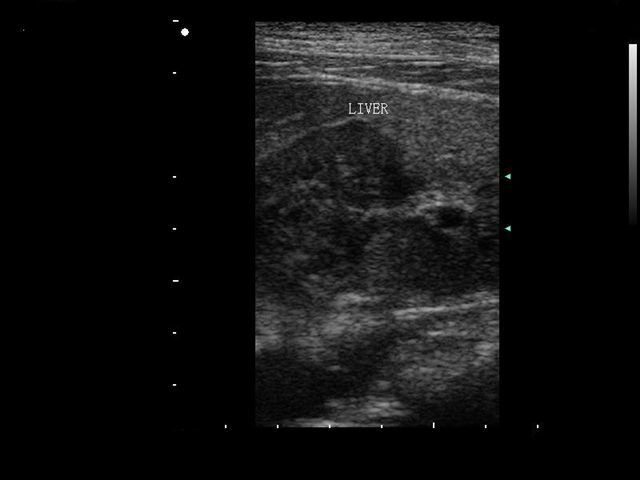 Below are some examples of ultrasound images taken at our clinic. The first image above shows the edge of the liver with fluid between the liver lobes. 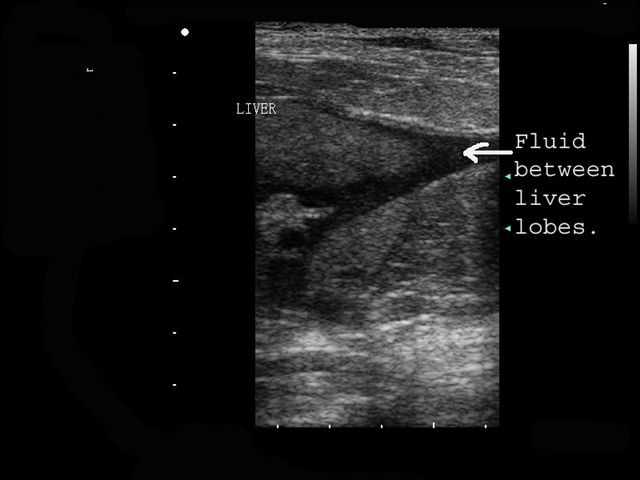 Fluid looks black on the ultrasound, while the liver is a shade of gray. This would be difficult to see on a radiograph because fluid on a radiograph looks like the soft tissue of the liver. It would all blend together. 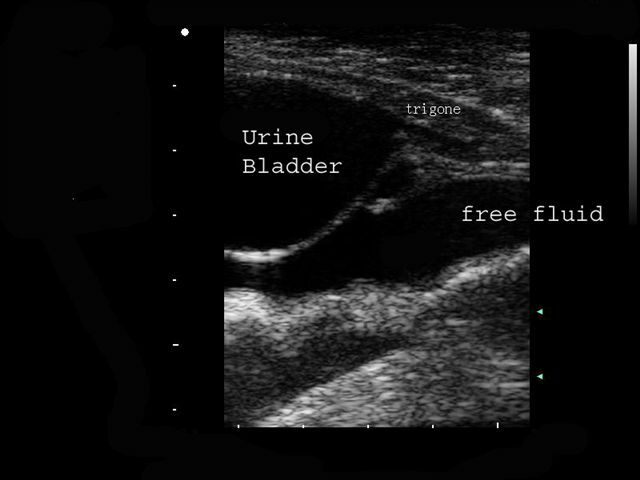 The second image shows free fluid surrounding the urinary bladder. 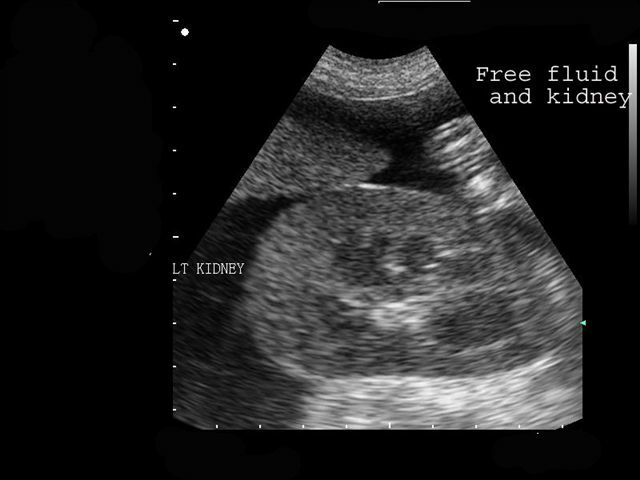 This image on the left of the screen shows the kidney with free fluid around it. 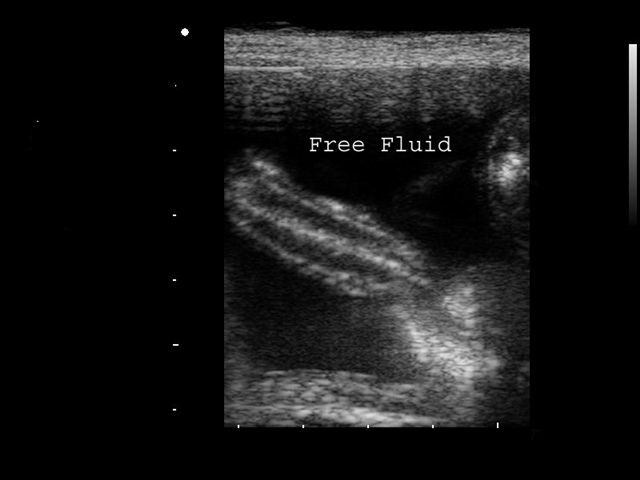 The fluid highlights the kidney on ultrasound, but would hide it on radiographs. 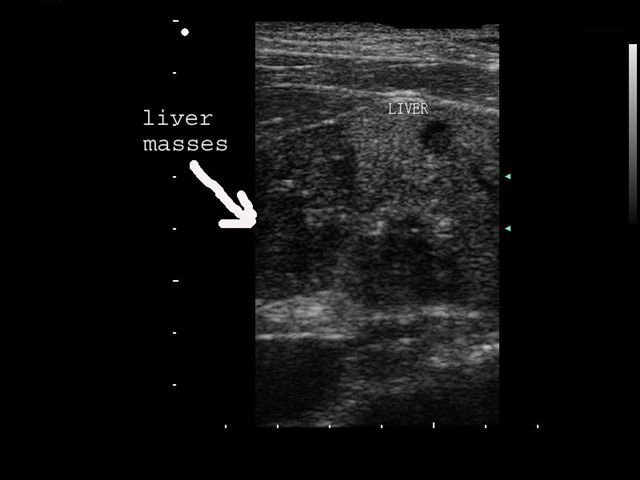 The second image shows the edge of a liver lobe with a change consistent with a mass on the liver edge. Notice how the liver is not as gray at the left edge compared to the even gray on the right edge. 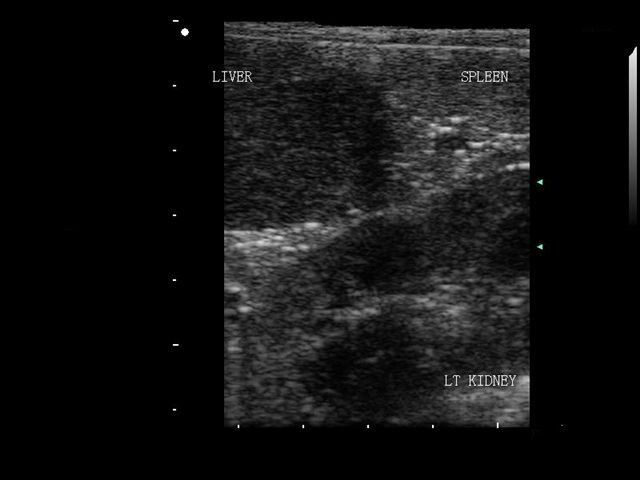 This image again shows areas in the liver consistent with masses. Notice again the change in coloration of the liver from top right to bottom left. 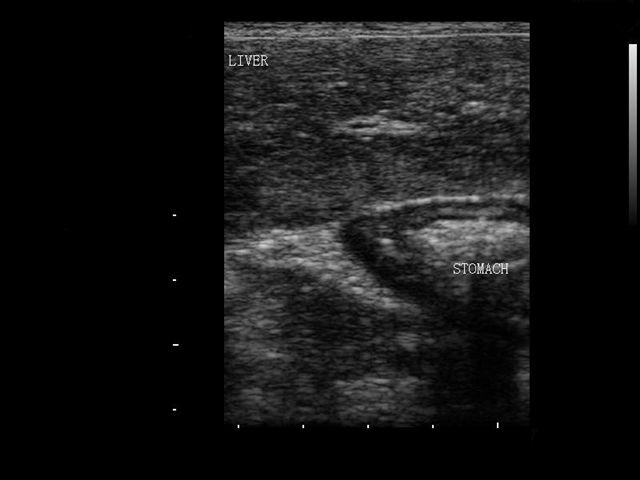 The second image is an example of how different tissues look different on the ultrasound. Notice the difference in the amount of gray in the liver, spleen, and kidney. The first image shows the liver and stomach. The second image shows a section of small intestine surrounded by free fluid. The fluid helps to highlight the section of intestine.